A natural reaction to have when first gaining an awareness of the Law of Attraction is to become fearful about all the negative thoughts you have had in your life, especially those that have haunted you recurrently from an early age. For example, Hypochondria is the constant obsessing about one’s health, always fearful that one has a serious disease. One could surmise therefore that the Law of Attraction will bring those serious illnesses into reality, and to some extent maybe this is true. Fear of being rejected is another self-limiting belief held by many people, and it is true that this fear may be the very reason some people experience consistent rejection in life. These are just a couple of the numerous fears that affect humanity today like an epidemic, stemming from deep trauma, often with roots in past lifetimes. There is no doubt about it, we currently live in a world that is to a large extent built on a foundation of fear. Many human beings on this planet live day to day just to survive. It could be that souls have been poisoned with fear for many lifetimes, trapped in a downward cycle of negativity. The more we fear the more we attract fear. So yes, it’s possible that we have attracted disease, rejection, pain and suffering into our lives because of our thoughts, and often due to karmic attachments. When we focus on this possibility we can feel helpless and overcome with yet more fear, and so the cycle continues. We examine the negative thoughts we’ve had in our lives and worry that we will soon see the manifestation of those fears, if we haven’t already. So how do we stop this cycle of fear and heal the negative manifestations in our mental, emotional, physical and spiritual bodies? Through Our Connection to God/Source/The Universe we each have the innate power to heal all dis-ease. All ‘dis-ease’ is manifested in fear consciousness. 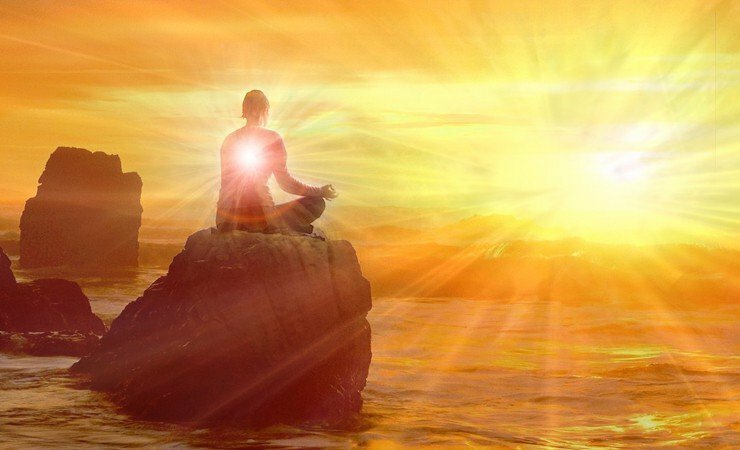 Even when we have awoken and begun to work towards enlightenment and Oneness with our Creator, we are still carrying around negative energy in our fields. In fact, acceptance of our Divinity is only the beginning of what can be an arduous journey that requires much strength and patience. 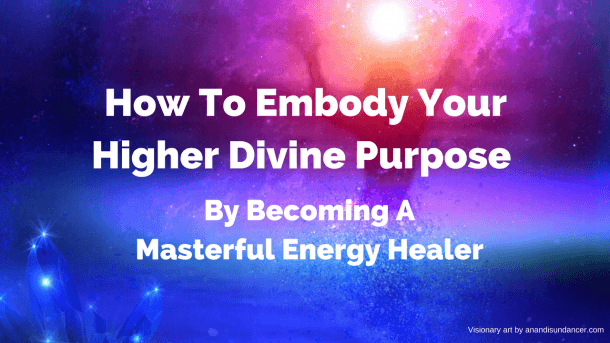 The journey of healing is the process of transmuting all dense energy from the energy field. As we cleanse and purify we release that which does not serve us, allowing space for higher levels of light and love consciousness to enter our body system (physical, emotional, mental and spiritual). As we shine light on our fears we have to face them, and so this is when what we have created from the level of fear consciousness becomes apparent, staring us right in the face. At this point we can either run and retreat back into fear, or we can face the outcome of our negativity and gather all our strength and power to overcome those fears from the higher levels of love consciousness. We stand at a crossroads. What do we do, hide in fear, or run towards the light? At this point in our journey, faith in our connection with the One Source becomes our strength and our guide. We must know deep within our hearts that we are connected to the perfection of the Source of All That Is, where all possibility for healing resides. We must realise that we are a fragment of that One Source and that we have access to that perfection. In order to bring about healing of any dis-ease, no matter how hopeless it may seem, we must have absolute faith in our Divinity. Without that faith, we cannot reach the heights of perfection and call forth the highest energies of Light to assist us in our healing. The next stage of the journey is to understand that no dis-ease can be healed from the level of consciousness that created it. That which was created in fear, must be healed in Love. We must work constantly to raise our vibration and thus the level of consciousness from which we operate. There is no one way to do this, but it does require commitment to a spiritual path, patience and perseverance. The journey will bring many doubts and challenges physically, emotionally, mentally and spiritually as you shed the layers of fear that have kept your True Light hidden. With each layer released you will reveal those fears that lie in the deeper recesses of your soul, but you will also unveil the higher Light within you that has the ability to defeat those deeper fears. The higher you go, the deeper you go, and so it goes. This is why the more you heal, the harder life can seem to be for a while, and also why it is of utmost importance to continually cultivate your faith in the Creator to get you through the struggles, for every struggle will eventually lead to a victory if you keep your faith. The process of healing is such that the deeper you go the more strength, grace, integrity and power you build through your Light within to enable you to go even deeper. So remember this, all fears are transmuted with love. In order to transmute and transform those fears into love, you must face those fears with faith in your connection to the perfection of Source Creator. Each fear you transmute will allow greater levels of love to enter your energy field, giving you the power to heal on even deeper levels. Through it all, know that you are love and that fear is the illusion that love dissolves. It doesn’t matter what you have created with fear. Do not dwell on it. Just know that Love has the power to heal all fear and YOU are that Love.